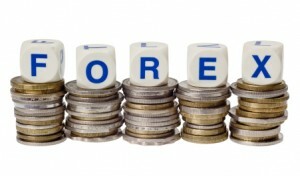 1.Providing a professional seminar: Our partners will provide you the best training on HOW ro trade the Forex market. 2.Flexible Risk: Trade with leverage as high as 500:1. You will be able to trade a real $ 100,000 with a margin of just $ 200..
3.Trade Over The Internet: Have a web browser? You can trade with us! Two Account Types: Standard account and VIP account. Both accounts with a balance of more than 1000 Euro providing interest rate 5% p.a. 5.Easy to Use: You’ll be using our stable, user-friendly platforms like a pro in no time at all! Never-Ending Support: We offer prompt 24/5 customer support. Phone ,email or chat with us any time! Quick and Easy Funding: Fund your account as easy as 1-2-3 with one of our funding options through Client’s portal..
Get Started For The Price of Lunch: Fund your account and start trading with as little as 500 Euro .